In collaboration with Jüri Vaba of the Alfa-institute in Gothenburg, I developed a new range of electronic instruments for measurement and giving biofeedback, both visual and auditory. 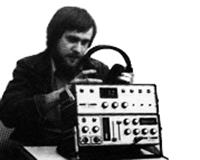 In 1979, Jüri's concepts were new and the emerging range of instruments were unique. 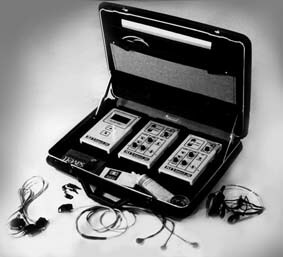 What became labelled as the Biometrix range of instrumnets were all battery powered and with a sensitivity from 0.1 µV to 500 mV. 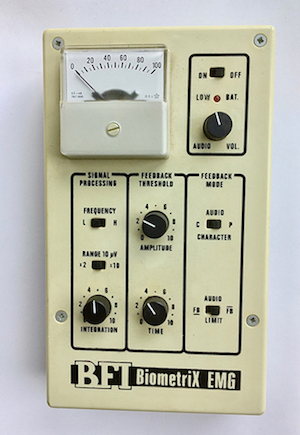 A time-threshold was one of the novelties, which improved how feedback was given to users. Mikael showing the first generation Biometrix instruments, which could be called "desktop" or clinical version. The second generation Biometrix were wearable and had a separate digital processing unit.